Description :Title : AUDIO RESEARCH AR-225 2-WAY SPEAKERS SURROUND SOUND INDOOR OUTDOORModel : AR-22.. Description :Title : Audio Technica ATH-S700BT SonicFuel Bluetooth Wireless Over-Ear HeadphonesModel.. Description :Title : Audio-Technica QuietPoint Active Noise-Cancelling Headphones ATH-ANC50iSModel :.. Description :Title : AVF EAK80B Surround Sound Speaker Floor Stands, Set Of 2Model : EAK80BBrand : A.. Description :Title : Barkan Universal Soundbar Mount 14lbs 6.5kgModel : WP-AN-18-16Brand : BarkanCol.. 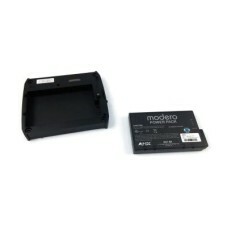 Description :Title : Battery Pack For Modero Tabletop Touch Panels NXT-BP + BASE AMX NXA-BASE/1Model.. Description :Title : Beats By Dr. Dre UrBeats In-Ear Only HeadphonesModel : MHD02AM/BBrand : Beats B.. Conditions : - Used - Included a remote with a missing battery cover- Come with RCA cable and Smart.. Conditions : - New, box only opened once, all parts in original packaging- Come with the receiver it.. Conditions : - Used- Come with RCA cable, remote and Smart Card- Certified Pre-Owned Equipment- Tes..